The Province of Manitoba has released a report in Flood Bulletin #53, that “In the Delta Beach, Twin Beaches and St. Laurent areas, there are more than 275 local volunteers, approximately 100 Canadian Forces soldiers, about 50 Manitoba government employees and municipal crews supporting sandbagging efforts.” While we thank the RM for their efforts to provide sandbags, this Flood Bulletin implied Delta was the first priority in relief efforts. We haven`t seen any Military or Government personnel, save the visit by the RM, and the RM`s effort to deliver sandbags and provide some rock for the Far West access road. It can be argued that these reports by the Province have not helped our efforts, and in fact, could be hampering and possibly harming our efforts, as people may now believe we are receiving priority assistance. Saturday in the Province of Manitoba Flood Bulletin #56, it was reported “Super sandbags are being installed in the Delta Beach area to maintain road access”, which seems to imply this effort is being undertaken by the Government. We are not aware of any efforts by the Province to keep our road or bridge access open. There now appears a growing belief that we are receiving assistance, as witnessed by the CTV news website Saturday evening, which reported, in Delta “Provincial officials say super sandbags are being used to maintain road access in the area”(CTV News, Saturday May 20th). Again, implying we are receiving assistance which we are not. The volunteer surveyor returned to the Beach Saturday, and continued to provide assistance and readings to those who asked. Thanks Cody! If was determined that saving the Channel Bridge with Super SandBags required professional help. Not sure how the EMO thought that we could possibly do this work – the bags are 4′ x 4′ x 4′ in size, and require special skills to fill and place them. 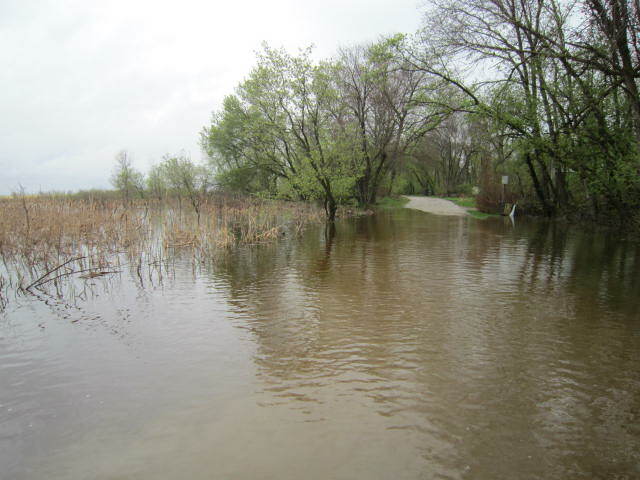 In addition, the far west road access continues to be under water at an increasing rate and level. We are appealing to the RM to bring in assistance, but we need your help too. 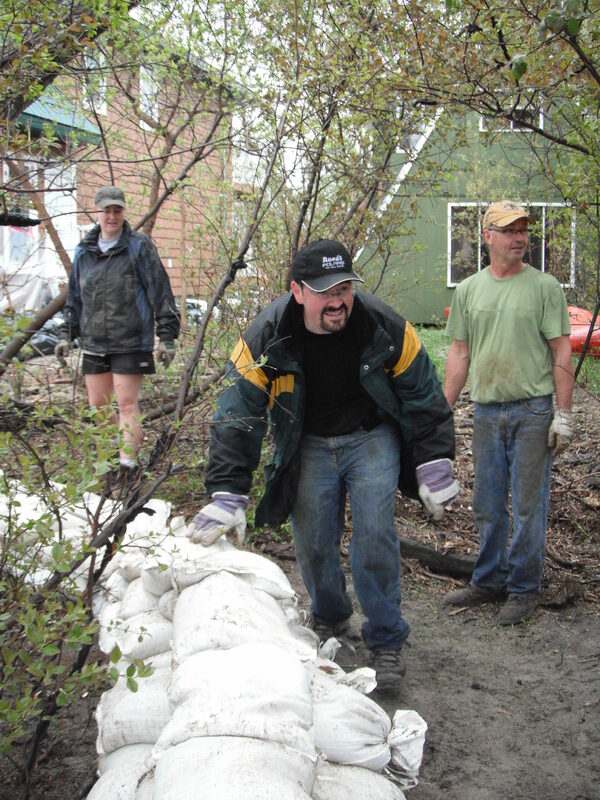 It was a very rainy day, yet some residents were out Sandbagging, but again there was a shortage of sandbags. The Salvation Army provided sandwiches, drinks, and sweets. On a plus side, the pumps have continued to keep the water down in the central cottage area, allow those cottages previously flooded, to be accessible.